A two-days-trip to the Hunter Valley is on the agenda. The Hunter Valley North of Sydney is horse and wine lovers heaven! I think it must have the highest studfarm density anywhere in the world, only paralleled by Kentucky with the one difference: All fences here are black. 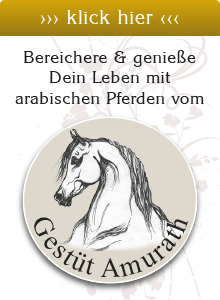 Most of the studfarms are for English TB, like Godolphin, our first stop, which is owned by Sh. Mo in the UAE, who has never set foot on this property. More impressive was Widdon stud, owned by one and the same family for more than 150 years and snuggled into a valley next to a National Park. 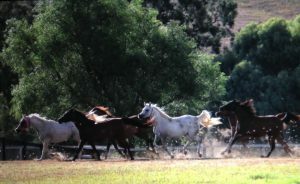 These studs live mainly by the stud fee of their stallions and have something like 1200 visiting mares, and a stud fee ranging from 10.000 to 100.000 AUS$. Big Business! Here are also the breeding outlets of Mulawa stud, where we saw the stallions Klass, his son Kommand MI and Allegiance MI. 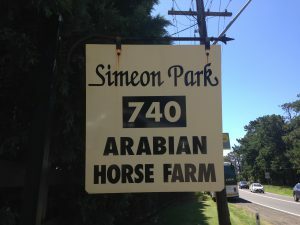 Hidden behind a huge hedge lies a horse paradise called Simeon Stud. Marion Richmond showed us her Straight Egyptian treasures in a wonderful parade and it was interesting to see so many descendants of Asfour, whom I saw here about 27 years ago. On top, wandering among the horses in their pastures showed their excellent character, one of their most prominent features, next to their beauty, of course. Next stop was Mulawa Stud of the Farrell family. 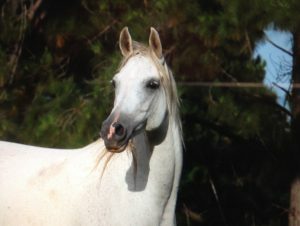 The stud is split in the show and performance part and the breeding facilities in the Hunter Valley. Here at Berrilee we were shown mainly showhorses, many of them descendants of Karmaa, the queen of Mulawa, who died in 2015. 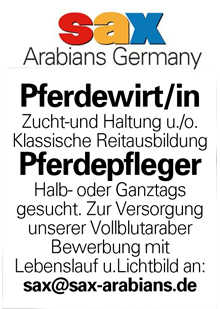 But at Mulawa, not only purebred Arabians are bred, but also ‘Arabian Warmbloods’ of which we saw a nice example performing at Prix St. George level. Needless to say, that both studs were extremely hospitable and everybody enjoyed the wonderful Aussi-style food! 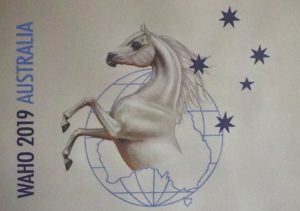 The actual WAHO Conference started with some very interesting talks on the history of the Arabian horse in Australia by Coralie Gordon, and about the various bloodlines we find out here by David Gillett, while Allan Preston explained all the Arabian Derivatives. The WAHO business was dealt with, too, with all delegates giving an up-date on their activities. The downhill trend in the Western world and the increase in registration in Arab countries seems to continue. For the first time in WAHO history, the delegates elected two consultants for the Executive Committee, one of which was the German Karsten Scherling – congratulations. 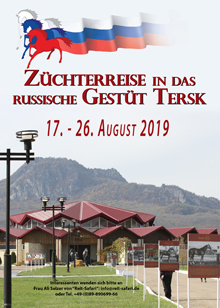 The most interesting presentation, however, was given by Prof. Chris Whitton on bone fatigue in race and endurance horses. Hopefully his results will find world-wide recognition, also in FEI! We said goodbye to Lisa and Ray and headed off for a six-hour-drive to Terragul North of Sydney. The drive tool us through some nice forrest areas, although we didn’t see that much of it from the highway. Next was checking-in at the Crown Plaza and reuniting with lots of old friends from previous WAHO Conferences and visits to Australia! 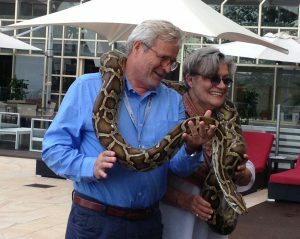 The day came to an end with A wonderful dinner including some visiting wildlife, such as the carpet python on the photo, that Marek and Magda Trela wrestled to save us all! Off we go – Sydney bound. But before we meet the WAHO group, we visited Lisa and Ray Smith at Foxridge Farm. 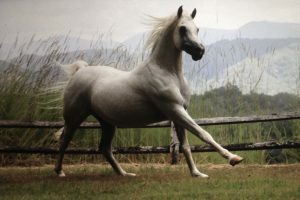 Lisa breeds mainly Polish Arabians, which are not all that common in Australia. Three stallions/colts by Emigrant, Extern and Equator enjoy their life here, each with a run-in shed. 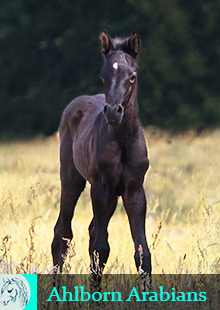 Two foals are born so far this year, one more to come. 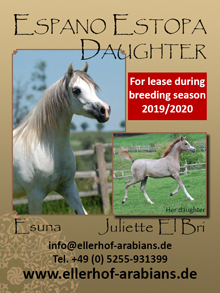 The prettiest of the mares is a young Pogrom-daughter and there is also the lovely grey Elomina (imp. Poland; see pic). A wonderful evening and dinner prepared by Ray, who is an excellent chef, concluded the day. A day in the rainforest – visiting Lamington National Park which is part of the Gondwana Rainforests, the most extensive subtropical rainforest in the world and part of Australia’s World Heritage. 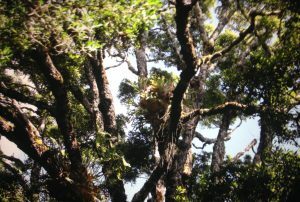 During a tree top walk you get really close to the top of some old rainforest giants. Next to enjoying some spectacular views, feeding the parrots at the visitor center is another attraction. After a looooong journey, I landed yesterday in Brisbane, where Sharon and her husband took good care of me. From -3 degrees to pleasant 25 – who wouldn’t want to escape European winter? Today, the first Aussie horses at Ramadan Stud of Karen Hodges. Pic shows MARKERS MARK, a lovely 20-year-old boy who lives here in middle of the rainforest with his ladies and three daughters.